Following up from part 1, here are the conclusions and lessons gleaned from last week’s market action for the coming week and beyond. First, here’s an update on the confiscations of deposits at Cyprus’s biggest bank, the Bank of Cyprus. Early in the week it appeared that deposits over 100k Euros would take a 30% hit. Later in the week we started hearing 40%. As of Saturday, it was reported that the official decree would give depositors shares worth just 37.5% deposits over 100k Euros, assuming those shares can actually be sold at the issue price. So at best those deposits over 100k Euros face a 62.5% hit. It could get worse if the shares lose value or if there are restrictions on selling the shares. Depositors with sums of over 100k Euros at the second largest Bank, Laiki, have nothing to fear. They’ve already lost everything over the EU insured 100k. There have been no changes to the controls on cash and credit card withdrawals announced earlier in the week. Continued Contraction, Bad Data: While German data shows it’s economy is still holding on, the rest of Europe looks awful overall, and the only debate over the GIIPS is whether or not they’re already in a depression on the scale of that seen in the 1930s. See here for a sample of the articles this past week on that theme. Italy And Cyprus: The two big EU concerns of recent weeks both appeared to be hitting their worst case scenarios. Obviously Cyprus was THE big loser. See below for all the gory details. Italy couldn’t form a government, which means months of lingering political uncertainty and probably new elections within the year to replace the temporary caretaker government appointed by the President. The big ramification is that the EU could be pressured by heightened political uncertainty for much of the remainder of the year at a time when it desperately needs the opposite in order to maintain confidence in the face of the continued contraction noted above. Germany also has elections later this year and the existence elections in both the major creditor and debtor nations’ risks pushing both polities to opposite extremes as candidates in both elections play to voter fears about the other nation. Markets were stressed by fears of increased regulations to cool property prices and sales of opaque but profitable “wealth management” investment products. The US, as much by default as anything else, as its indexes continue higher and its economy continues to slowly improve under continued stimulus. The US isn’t as bound to the decaying EU as Germany, it isn’t a demographic disaster like Japan, and it isn’t in a tightening process like China. No wonder money continues to pour into US stocks as investors accept higher P/Es, and the S&P 500 was finally able to break to new highs despite declining earnings growth. Oof. Where do we even begin? So much has already been written, not without justification. This was big. For the first time since the Greek bond haircuts (which hit Cyprus banks and arguably were a key driver of the Cyprus mess) real pain was inflicted on investors rather than taxpayers. That brings contagion risks, as we discuss below. Here are the key ramifications thus far. Markets freaked on Monday at the suggestion that the Cyprus bailout was indeed a precedent for confiscating deposits and capital controls in future EU bank bailouts. The implication was heighted risk of massive bank run on GIIPS banks and end of the EU. Of all the articles I read that attempted to define the how the Cyprus deal had increased contagion risk, the Telegraph’s Jeremy Warner hit it best. In essence, he wrote that deposit safety correlated directly with how much of a systemic risk a given bank presented. That risk was defined by both the size of the bank and its sovereign state. He likened the situation to that of the US, where depositors at small local banks lose everything when federal authorities close them down, but those at big banks with huge corporate depositors and international presence (aka TBTF banks) get bailed out because they would take down their big corporate and sovereign depositors with them. See here for details. Despite all the pain, it’s very unclear whether Cyprus will avoid the death spiral and probable EZ exit occurring in Greece. The deal killed off Cyprus’ main industry and best paying employer, its offshore banking industry. The deal still leaves it with over 140% debt/GDP, which most economists do not believe is sustainable under any circumstances. Cyprus’ economy just lost its biggest driver, offshore banking, so chances of recovery are virtually nil. If a Cyprus Euro isn’t as liquid as any other, it isn’t worth as much and thus Cyprus is no longer a full EZ member. No doubt depositors in banks of other at risk nations will take note, and those with over 100k Euros on deposit at any one bank will be far more inclined to take these funds elsewhere while they still can. This is the biggest lesson of the prior week, and its effects could be felt for months or years to come. Bank Runs, Long Term Capital Flight More Likely: For bailed out nations, depositor contributions to bailouts and capital controls (which effectively make Euros in these banks less liquid and thus less valuable. In other words, a nation can be stuck with a second class Euro and subject to a light form of EU expulsion. That risk will now weigh on depositors of all GIIPS banks and make them quicker to flee in the future. Why would anyone keep deposits in GIIPS banks unless it was absolutely necessary? Even insured depositors can see their access cut for an indefinite period, as the Cyprus deal demonstrated. Future Bailouts Harsher: It’s become politically suicidal for funding nation leaders to bail out debtor nations without squeezing maximum cash out of these countries first. Borrowing Costs Up For GIIPS Banks: Unlike Cyprus, the other GIIPS nations have bondholders who can take losses before depositors, so it’s going to be harder for GIIPS banks to get interbank credit needed for daily operations. In other words, these challenged banks now have another challenge to overcome. To be completely fair, there are those who insist that while EU depositors are now on the bail-in menu, the protection of insured depositors has definitely been confirmed. We disagree. EU leaders (and initially Cypriot politicians too) were ok with hitting insured depositors. It was popular opposition in Cyprus that prevented this move. The last time private investors (i.e. the ones that rule the markets) rather the taxpayers had to take this kind of pain was the Greek bond haircut in the summer of 2011, which led to spiking borrowing costs in Spain and Italy. Risks of new crises in Spain and Italy are trending higher along with their bond yields, and markets are focusing on Slovenia as a likely next hot spot. See our article on the top market drivers for the coming week here for more on that. All of the above serve to remind us all of just how big a mess the EU really is, and that’s brought a new batch of articles predicting the EU’s demise. Here’s the best I saw last week. European stocks have been flat-to-lower in recent weeks, but the EURUSD and other EUR pairs have been sliding hard since the start of February. Barring assorted short term counter moves, this longer term trend, in place since early 2011, should remain in place, and provide some support for the USD and USD investments. 6. Contagion Risk Beyond The EU? The Cyprus deal raises questions about deposit safety even outside of the EU, and that produced some interesting commentary last week. Quick, which investment is more senior in the event of a bank failure, a savings account or derivatives counterparties? See here for the answer. This article has held on for 3 days at the very top of seekingalpha.com’s top article list as of this writing. That only happens when an article really hits a nerve. She got to show her tightfistedness (even though we were never talking about much money). She helped insure a diminished future for the Cypriot banking system. She stuck it to the Russians. She did it all while creating virtually no financial contagion/ripple effects elsewhere in Europe. She showed that there’s no serious opposition to Germany among the rest of the nations. The first week of the month is usually busy, and the above makes it even more important. It’s packed with top tier EU PMI reports, bond auctions of benchmark 10 year bonds, and more. See our article on coming week market movers for more. See our article on the coming week’s top market movers for details. Finally, we remind everyone (who else will?) that if most of your wealth is tied to the Euro, US dollar, Yen, or other at risk currency, then you need to diversify your holdings and income stream by currency exposure, just as you’d diversify it by asset class and sector. 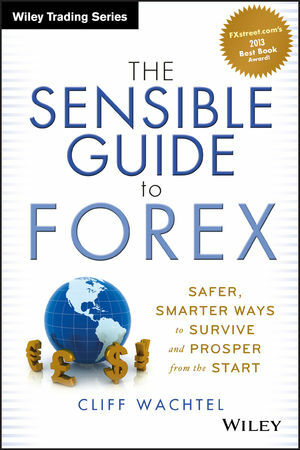 See here for the most up to date guide of simpler, safer solutions than you’ll find in other guides to forex or foreign investing.